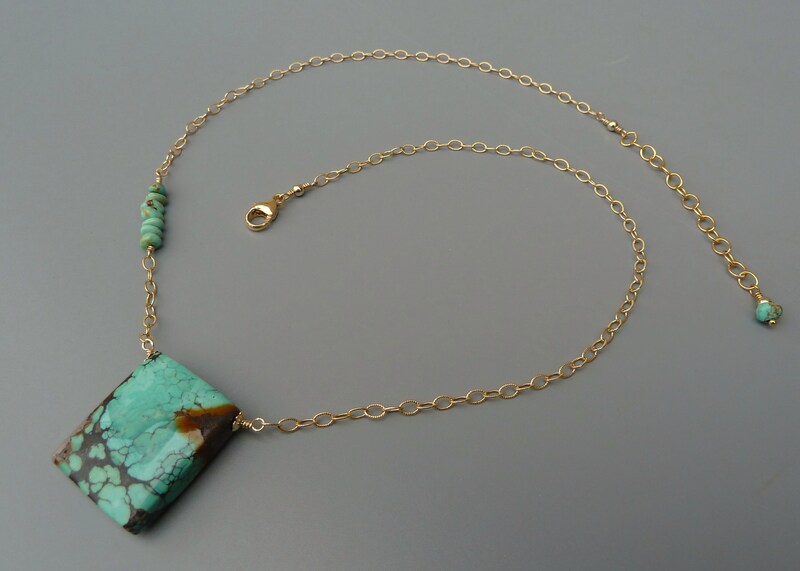 This listing is for a beautiful turquoise chain necklace. A gold filled textured cable chain leads to a stunning natural blue-green turquoise pendant that contains lovely copper brown matrix. 14k yellow gold filled.